Mike Parrott was very attentive. He ensured my car was properly diagnosed and serviced. I live in Smyrna and I have used to dodge dealership Service Cent is in my area, but I was not completely satisfied and after bringing it to Palmer Dodge. I will bring my vehicle back here again for servicing. Will Blythe did a great job with the sale. The person who detailed our vehicle did a very poor job. If it had not been so late in the day I would have brought the vehicle back for the detailer to do over. Thomas in service is a great addition to the Service Department. He’s kind, attentive and knows his stuff. Thank you! Good Experience overall. Everyone I worked with (Nick Barron, DJ Wilks, Kyler Panter, & Kurt Taylor) was extremely helpful and nice. Would recommend in the future. 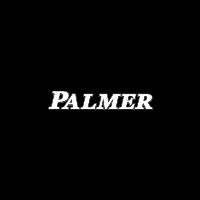 Everyone is always extremely helpful, and the Palmer Dodge team stands behind making sure they get it done right, Had to return a couple times for a difficult to diagnose problem, but appreciate their thoroughness every time!